A project worth Rs 1,000 crore by the department of post will serve as a shot in the arm for financial inclusion in the country. The department, say officials aware of the matter, has zeroed in on the US-based Hewlett Packard (HP) to set up the technology infrastructure for its countrywide rollout of a payment bank – a stripped-down version of a bank that would allow a limited savings deposit of up to Rs 1 lakh, but not loans and credit. Currently negotiations are on between the two and a formal announcement is awaited. 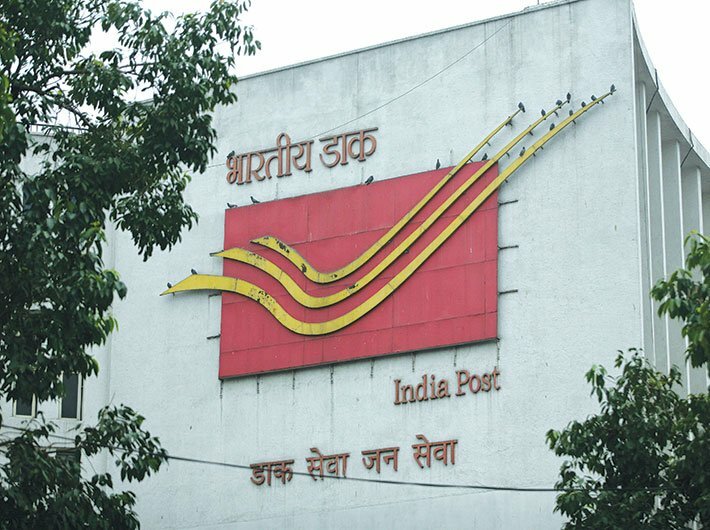 HP will do an end-to-end job of setting up countrywide points-of-presence of India Post Payments Bank (IPPB) at 1,55,015 post offices, 650-plus branches (the definite number is not yet known), a network and a data centre. It will provide biometric-enabled smartphones to the dak sevaks (postmen). It will also set up a call centre for on-demand deposit, withdrawal and payment, besides providing centralised monitoring. Under the IPPB, people will have the choice to transfer funds from one account to another by making a request to a call centre – eliminating the need for digital literacy. Acting as business correspondents, the grameen dak sevaks (rural postmen) will carry biometric-enabled smartphones to offer on-demand online banking and withdrawal services. People can make a request, either through a message or a call, to the postman to visit them, and avail banking and payment services. The on-demand services would be chargeable, but they would be affordable, ASR Krishna, chief operating officer, IPPB, told Governance Now. India Post has a battalion of three lakh postmen who go from home to home in the villages under their post office’s network to deliver mail and money orders. 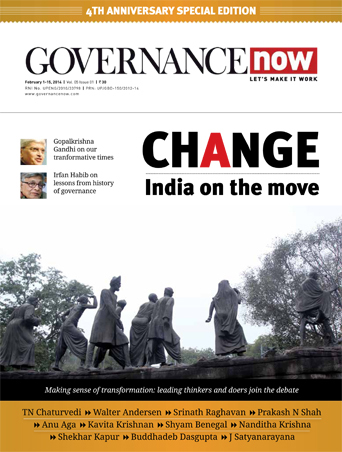 Together, they cover most of the 2,50,000 village panchayats — making India Post the largest rural network in the country, both in the government and the private sector. Apart from providing doorstep banking, the payments bank will play a crucial role in aiding direct benefits transfer, by providing fund transfer at the last mile, to the last person in a village. It will also sell third party insurance and financial products, taking the entire gamut of financial services to the rural masses. Currently, India Post has 43 crore savings accounts, twice the number with the State Bank of India. These could be low-hanging fruit for the IPPB. If the payments bank succeeds in getting even half of the India Post customers on board it will give a tough competition to the existing traditional banking systems and payments organisations. At present, Airtel and Paytm provide payments bank services. Many government functionaries believe that IPPB will be a game-changer in bringing rural households under the formal banking system. “The postmen are from village communities. 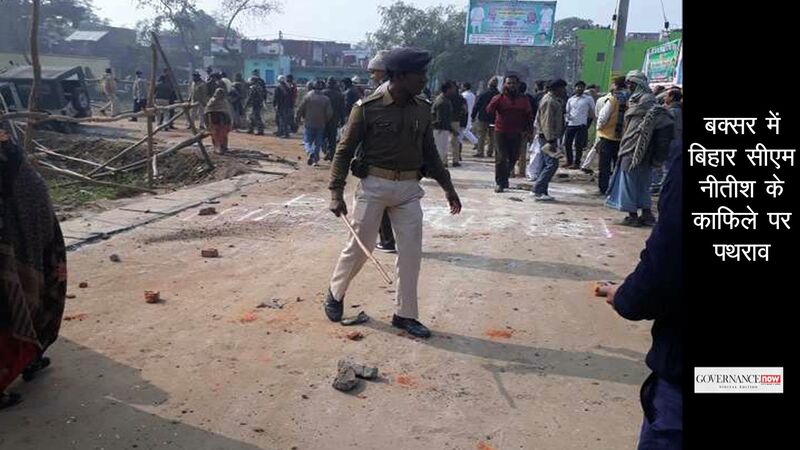 They are well-connected with other people in villages. With internet-enabled PoS [point of service] machines and smartphones, postmen could provide swift financial transactions,” says Anil Kumar, director, postal services, Ranchi division. The IPPB had inaugurated two of its branches as pilot on January 31; one in Ranchi and the other in Raipur. For opening an account with the IPPB, one has to visit the local post office, fill up an application form, and provide one’s Aadhaar number and fingerprint for authentication. The postman will then do the authentication of the applicant’s Aadhaar number via his PoS machine. He may take additional details, if required, and submit them using his POS device. After the submission, the applicant will be provided with account details and debit card within three days, says Kumar. Customers can choose from multiple options to avail themselves of banking services. They can either visit the local post office branch or can use internet or mobile banking. They can even request the postman to visit their home. In future, the IPPB is planning to make Aadhaar mandatory for opening anaccount; no other identity documents would be required. But as of now, Aadhaar is not mandatory at the pilot branches. In case the applicant doesn’t have Aadhaar, she is encouraged to enroll for it. Meanwhile, the account is opened using PAN and voter ID cards. The payments bank will also offer several third-party financial products on non-discriminatory basis. Several financial organisations including International Finance Corporation are queuing up at the IPPB for a possible collaboration. “We will have tie-ups for loans, insurance… we are open to partnerships. We don’t want to restrict [to one private company]. We are a public infrastructure system built at public cost, so we will keep ourselves open,” says Krishna. A key service that will be delivered by the IPPB is direct benefit transfer (DBT). “We will take bulk payments from the ministries [for various welfare schemes] and will spread [disburse] it across the country to the people [beneficiaries] having account and even to those not having account through Aadhaar-enabled payment system,” he says. The IPPB will also issue debit cards, which can be used at ATMs and PoS machines for withdrawals and transactions. The payment received in the bank account or payments bank account can be further used through a debit card or mobile banking for making any payment. “It will enable a full cycle of digital payment,” he adds. Krishna believes that IPPB is best suited for tapping the rural market. The private players in payments bank will largely cater to the creamy layer located in cities. “They want their operations to be profitable,” he says. IPPB, on the other hand, will cater to the low income group. HP is also expected to create an app for IPPB. Initially, it will be available in Hindi and English only, but the company has plans to make it available later in regional languages for better reach in the hinterlands. On January 31, finance minister Arun Jaitley inaugurated two pilot IPPB branches at Ranchi and Raipur. According to Jaitley, around 1.55 lakh post office branches will be linked to the IPPB by September 2017, as approved by the cabinet. The project, however, is already running behind the schedule. In 2016, the department of post had invited bids for the selection of an IT vendor. The request for proposal (RFP) for the selection of the vendor had very stringent norms for cash flow and payment terms, which irked most of the industry. As a result, it received only one bid from Polaris Financial Technology and hence the tender had to be cancelled. The department later changed the tender conditions and invited fresh bids. It was only in June this year when HP bagged the tender, according to officials. The company says it will take at least take six months to open points-of-presence at the first set of post offices. Officials say that a more practical timeline for the initial ‘limited expansion’ of IPPB branches and touch points should be between January and March, 2018. The full scale rollout should be done after that. Several other technology projects related to the modernisation of India Post, originally envisaged in 2009, are running behind schedule and hence there is a healthy scepticism around the timely completion of IPPB infrastructure. Although the details related to IPPB roadmap have not been made public yet, officials overseeing its implementation indicate a change in the rollout strategy. Contrary to the initial idea of opening up 650 branches, officials say, as per the new plan, there is no requirement for opening any new branches. 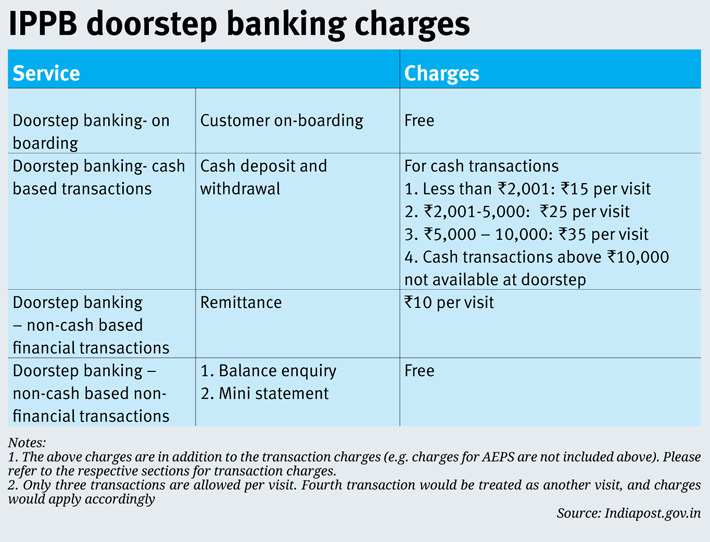 The RBI guidelines are clear about it: payments bank don’t need to have any branches, but only access points. “All the post offices are access points. IPPB is looking at how many post offices can be enabled for payments bank services and how many locations it can reach. The first priority will be to reach more and more locations. It may start with 10,000 access points,” says an official. The IPPB has already interviewed 3,000 people, but plans to hire them as and when required. “The payments bank will work on a lean infrastructure. It doesn’t require 3,000 people in the first place,” says the official. The IPPB will hire 3,500 people when it is operational at 1.55 lakh locations, the official adds. The idea of payment bank was originally mooted by the Nachiket Mor committee on ‘comprehensive financial services for small businesses and low income households’ in early 2014. The central bank issued the related guidelines later that year. India Post is among four organisations which received the central bank’s permission to open payment banks; the other three are Airtel, Paytm and Aditya Birla Group. Critics feel that payments banks will only offer a supply side solution to the problem of financial inclusion. Rajat Kathuria, director and chief executive, Indian Council for Research on International Economic Relations, says that creating awareness about payments bank services will be a key challenge. Generating a demand for such services is also necessary.